Authorities seeking public's assistance in locating suspect. Mastic Beach, NY - March 21, 2019 - Suffolk County Police are investigating a multi-vehicle crash that critically injured a toddler, and seriously injured three other people in Mastic Beach on Wednesday, March 20. A man operating a 2006 Nissan sedan was traveling southbound on Flower Road when he appeared to run a stop sign at the intersection of Neighborhood Road. The vehicle struck a 2017 Toyota being driven by Maryann Valentin that was traveling westbound at approximately 11 a.m. The Nissan then struck an unoccupied Jeep SUV parked outside of 94 Flower Road. The driver of the Nissan, who has not been identified, left the scene. 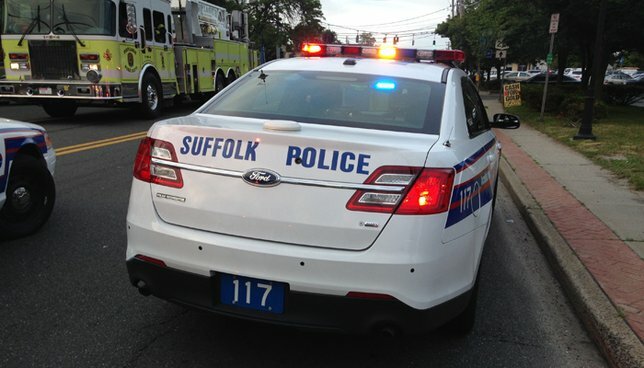 A 2-year-old boy in the backseat of the Nissan was critically injured and initially transported to Long Island Community Hospital before being transferred to Stony Brook University Hospital. The other passengers in the Nissan, Sabine Auguste, 34, of Ridge and Jamel Hubbard, 33, of Wyandanch were transported to Stony Brook University Hospital. Auguste suffered serious injuries to her head, and Hubbard suffered non-life-threatening injuries. Valentin, 59, of Shirley and her passenger James Mayo, 56, of Shirley were both transported to Long Island Community Hospital with serious but non-life-threatening injuries. Police are asking anyone with information on this crash to call Major Case Unit detectives at 631-852-6555. Subject: LongIsland.com - Your Name sent you Article details of "SCPD: Mastic Beach Hit-and-Run Driver Flees Scene, Leaves Toddler Critically Injured"